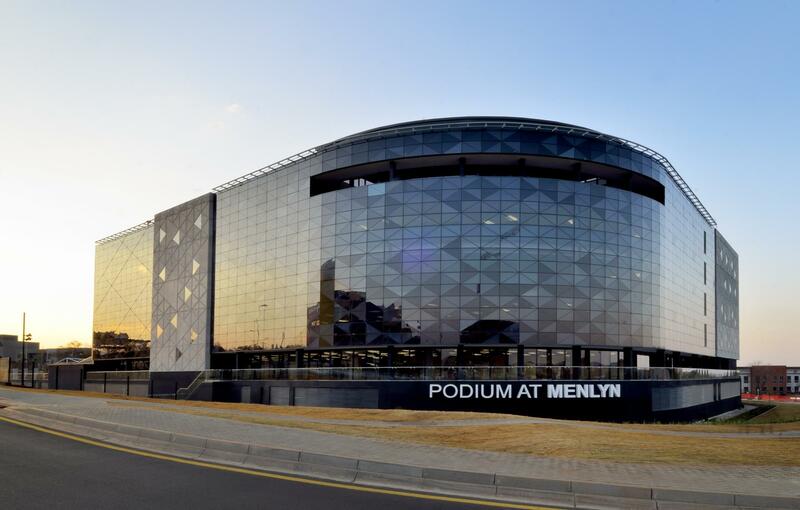 Podium at Menlyn is located at the gateway to the Menlyn CBD. 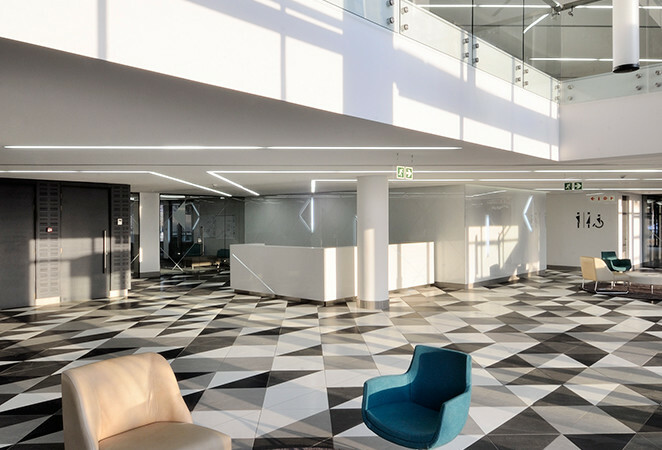 Conveniently positioned in the node, facilities such as Menlyn Shopping Centre, Menlyn Retail Park, Menlyn Virgin Active and what is set to become Africa’s first green city, Menlyn Maine, are all within close proximity. Podium at Menlyn is the development of a P-Grade Office Building. The development is currently being undertaken in two phases with the first phase having been constructed and completed on 31 March 2012. 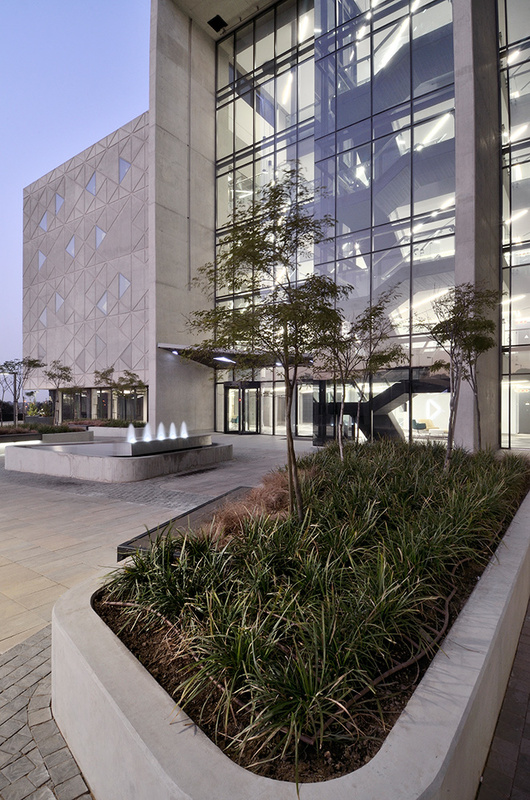 This building which utilises its corner site with its curved double curtain performance glazed facade, flanked by massive off shutter concrete walls, demands attention. 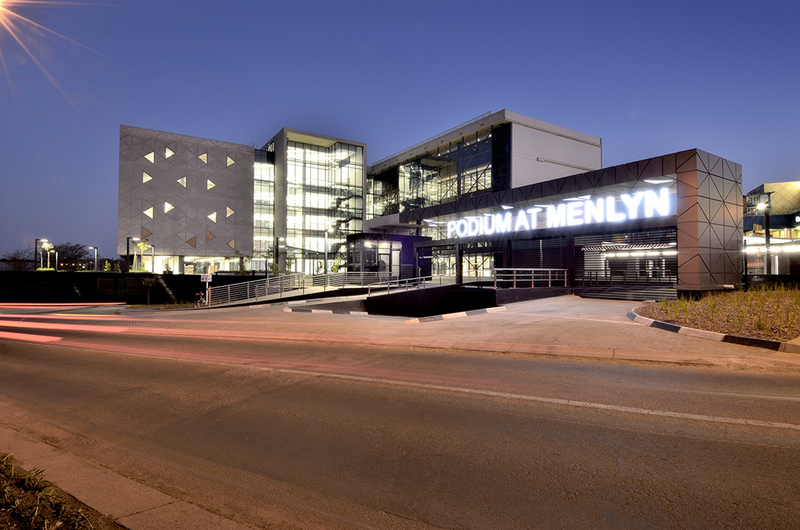 The façade was designed to contribute to the building’s thermal comfort yet to be low maintenance. 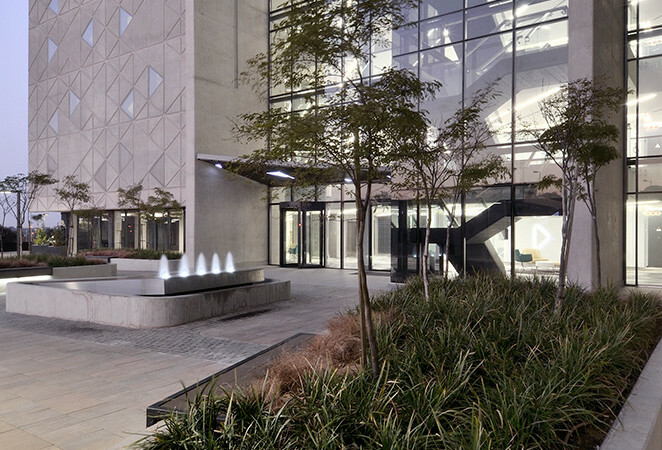 Although situated on a busy intersection, the L-shaped building shields the main entrance creating a welcoming courtyard away from the busy road. 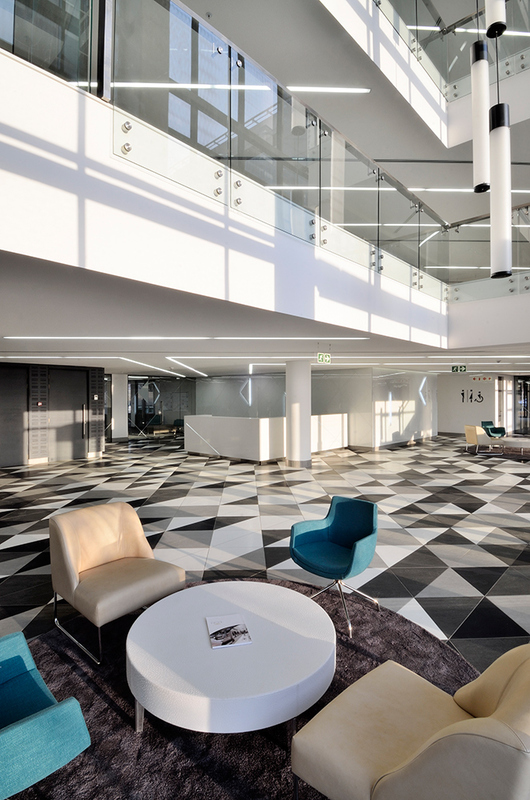 The building is owned by Emira property fund, who have their sights set on greening their portfolio. Sub-metering of major water and energy consuming systems is in place and metered data is captured by smart meters. The implementation of a Green Travel plan that informs building users of alternative transport options including public transport routes and the building’s own carpool club. Appointment of an IAQ manager to supervise and manage the optimisation of practices that prevent and minimise the build-up of indoor pollutants in the building. Online building user’s guide that details ongoing sustainability initiatives in the building. The development of a Landscape management plan that details initiatives such as plant replacement programmes and good irrigation practice. Only ‘Zero Ozone Depleting Potential’ refrigerants are used in building systems.